I have recently purchased a mare that hates contact. She’ll travel very nicely with a loose rein but when I begin to take more contact and apply more leg, she attempts to evade this by lifting her head (and hollowing out) or dropping her head below the vertical and increasingly on the forehand. I am working diligently to move her into the bit by applying leg pressure and attempting to get her to accept the contact. I am trying to avoid training devices such as draw reins but I’m getting exhausted with the fight! I will give you some advice on this rather common issue, however it would be beneficial to have a bit more information about your horse. For instance, what breed is she, how old and how green? What has this mare done in the past and in what bit? Has she ever had her teeth addressed by a “Dentist?” What bit are you currently riding her in? All of the above would be helpful to know, but I’ll give it my best shot. 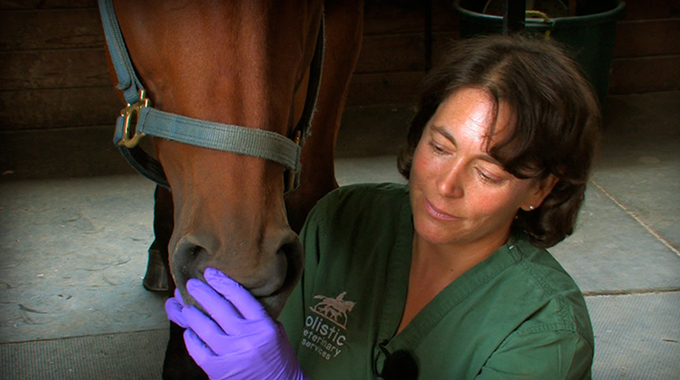 First, I would have her teeth looked at by a top equine dentist to eliminate or take care of any pain she may be experiencing. 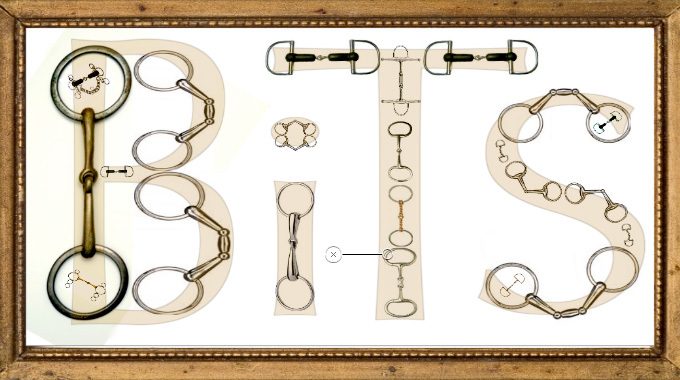 Next, you will need to experiment with a few of the classical snaffles to find the one she is most comfortable with. All of them will come in various diameters, some fatter than others. She will tell you the one she likes best by her willingness to accept your contact or not. The width of the bit should fit her perfectly. Not too tight against the corners of her mouth so that there is no slide from side to side and not too wide that there is too much slide. My normal progression is to start with a rubber D snaffle and move along in the following order (and I would start with the fatter ones first in heavy stainless before I tried the different flavored bits like copper or brass). 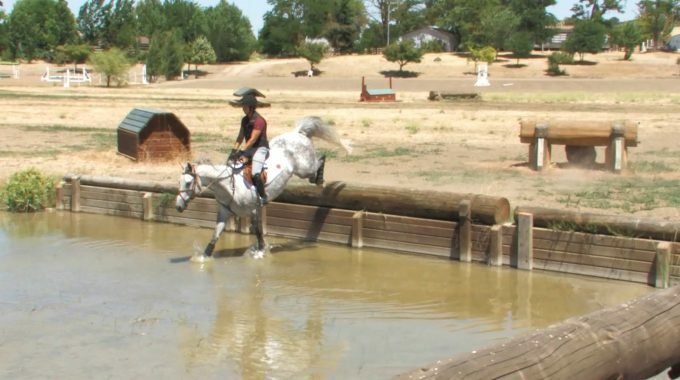 Understanding that there is a difference between riding on a light, soft contact and riding fully on the bit, lets just speak about riding on soft contact which, at this stage, would be ideal to achieve. Once you have addressed the teeth and hopefully found from the list above a bit that she likes, we can address her acceptance of your “elastic following arm” starting at the walk. We have to go back to basics! First it is leg to hand, not hand to leg. I would like to see her walk in a nice forward rhythm on a loose rein with her nose in front of the vertical, producing a forward and back swinging neck gesture. Hold your reins between your thumb and index finger in what we know as the “driving rein” and carefully sneak up on the soft contact without disturbing the forward regularity of the gait. Take great care that you follow the oscillating movements of her neck with your arms, rather than a fixed hand which will constantly bump her in the mouth. This comes primarily from your shoulder joint allowing your arms to move with her neck with soft contact. For her there are only two ways to walk. On a loose rein or as described above. Spend lots of time on this, developing her acceptance of your light contact with her nose out, over the next few weeks in the walk. 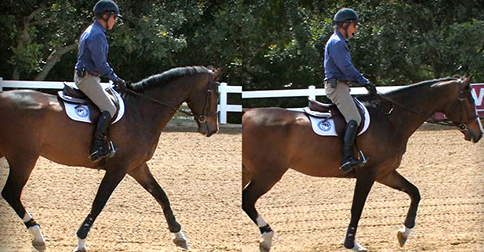 The driving rein lightens the contact and is a great tool to develop good hands as well. 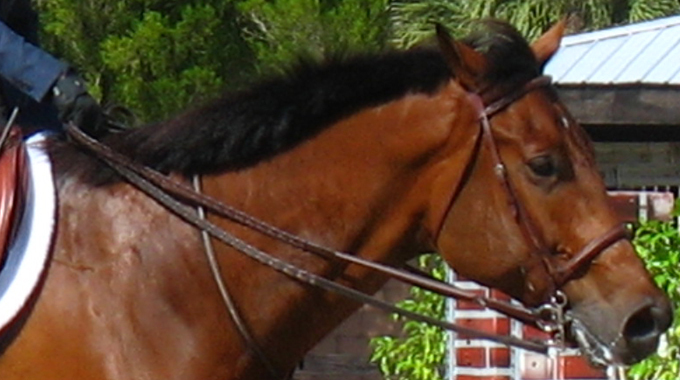 Once she has accepted your contact with a following arm in the walk, hold the reins normally. 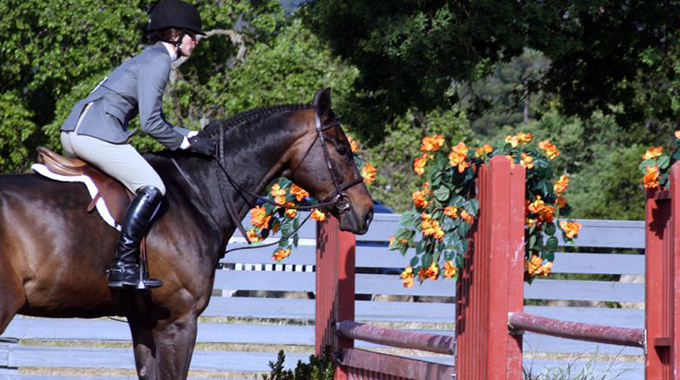 In the trot gait let her go in a natural frame, nose out and don’t think about too much leg. The more leg you use, the more comes out in your hand and she is not ready for that yet. 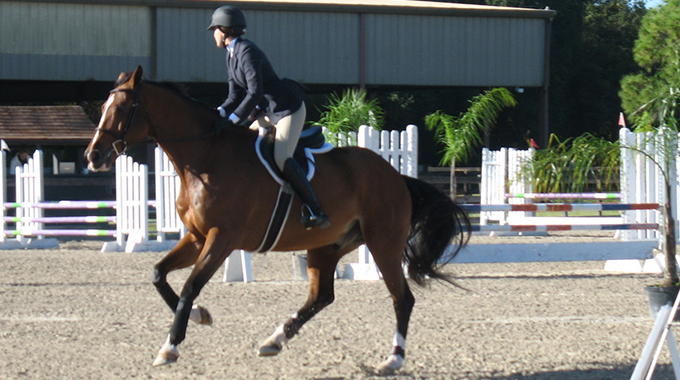 Ride with just enough leg to keep her regular in the trot gait and be happy with soft contact. 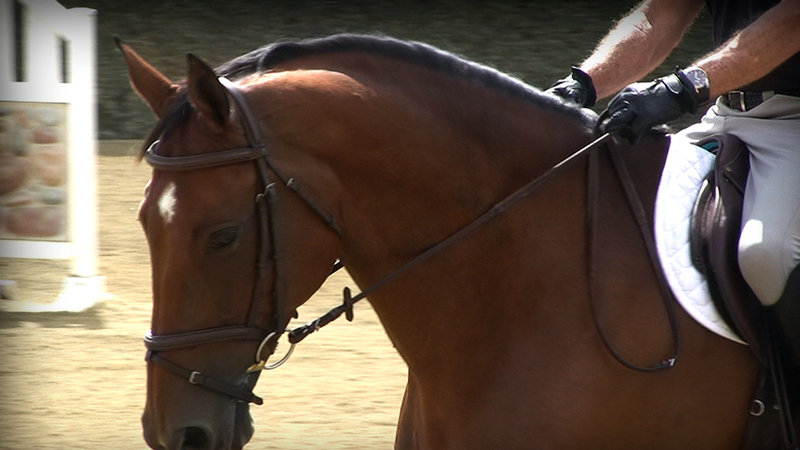 In the canter gait, rise up in your half seat and see if she will accept a light contact with her mouth, nose out. You must follow her natural neck swing, as she does in the walk, with your arms. A fixed hand and especially a hand against her natural neck movement will just irritate her. You asked about draw reins and expressed being exhausted with the fight. “Fight?” This should not be a fight! Forget the draw reins, take your time, address all the suggestions mentioned above and contact me in three months and let me know how you’re progressing! Hi, I don’t know much about horses, but am very eager to learn everything i can. Experienced rider. I started putting a saddle on her and getting up on her. And not sure if it makes a difference as to getting her to do what I want. Get her to move any further. I’m not sure if she is stubborn, or just my inexperience.